Higher Primrose Cottage is a 17th century Grade II listed cottage nestled within the heart of the idyllic village of Winkleigh. A stone's throw from most amenities, Higher Primrose Cottage is the perfect base from which to explore both Dartmoor & Exmoor. Both the North Devon & North Cornish coastlines with their glorious sandy beaches are within easy reach at just over 40 minutes away. The cottage can accommodate either 2 adults or 2 adults and 2 children (2-12 years). Plus 1 small well behaved dog! We have tried to blend period charm with modern-day comfort. The ground floor contains a living room with a wood burner and a properly stocked kitchen . There is a TV with Freeview plus free WiFi. The stable kitchen door opens out onto a small gravel courtyard which is a perfect suntrap! An off road parking space is located at the rear of the property and can accommodate 1 small sized car. Plenty of free parking can also be found just around the corner in the village square. Upstairs you will find the bathroom with bath & shower, 1 double bedroom with a comfy Victorian bed and 1 small bedroom with L shaped bunk beds. Beautiful views of Dartmoor can be seen through the skylights which sit above the galleried landing. We try to support local artists and businesses where we can. Most of the artwork and some of the furniture is local - if you see something you like and would like to know more please let us know & we can provide you with details of the artist or business. A scrummy welcome pack will greet you upon your arrival with most items sourced locally. If you have any questions please ping us an email. We look forward to welcoming you to our lovely cottage soon. I moved to Devon 10 years ago and absolutely love what it has to offer. Whether it's the beach or countryside Devon has it all. The cottage has been the realisation of a dream for me. I hope you come and stay awhile. Higher Primrose Cottage is in the centre of the village, and walking distance to a super pub that serves delicious meals. The cottage is set between Exeter and Barnstaple ( both 40 mins away) and well located to visit botht he North Cornish or North Devon beaches. Dartmoor and Exmoor are not far - it really is perfectly placed for exploring this wonderful part of Devon. Right at the heart of the village Higher Primrose Cottage is centrally located to explore both Dartmoor and Exmoor. It is a true rural village with all amenities. Less than an hour from both North Devon and North Cornwall beaches, Higher Primrose provides the perfect base from which to explore this wonderful county. It is walking distance to a fabulous pub which serves delicious home cooked food. There is one bathroom which contains a toilet, washbasin, bath and overhead shower. There is a small parking space at the rear of the property for 1 small car. Free parking can be found just around the corner in the square if needed. There are 2 cafeteries and a french percolator. Fully stocked kitchen (unlike some rentals). I have stocked it as if I were living there! There is a fridge with small freezer, a microwave, a 4 ring electric hob and electric fan over. This is incorporated into the kitchen space. Lots to do and see in the surrounding areas. A cosy compact comfortable cottage. 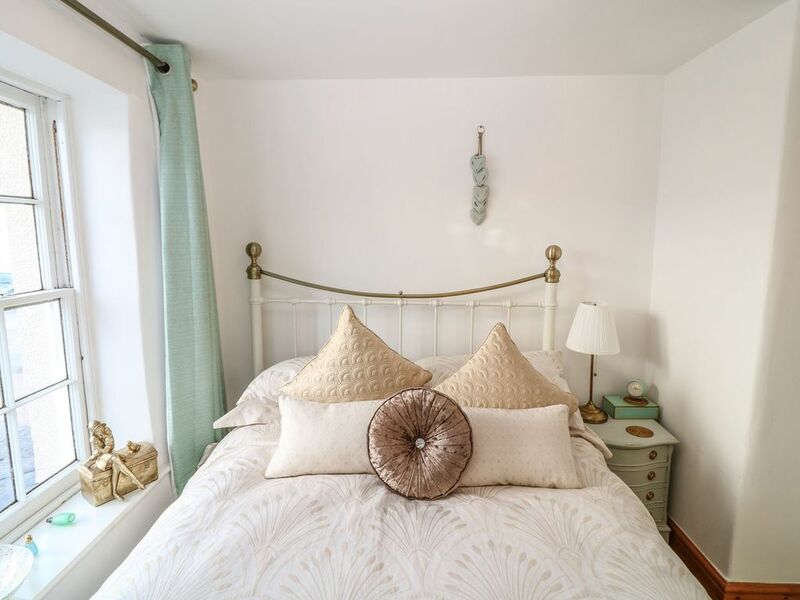 A cosy comfortable cottage in a quaint village and a warm welcome from Nicole. We enjoyed cycling the Granite Way and visiting the impressive RHS Rosemoor Garden. A lovely weekend. It was so lovely to meet you both and thank you for the kind review. I’m so glad you enjoyed the cottage and our special part of Devon. You would be more than welcome to stay anytime 😊. Lovely character cottage in a small but beautiful village in Devon. Only negative I can think of is that it is in central Devon so trips to the beach can take up to an hours travelling time as well as getting to Exeter etc. Suited our small family very well and Nicole was very helpful and easy going. Would definitely return again.